Being a Google-powered OS, Android lets you enjoy the amazing services from its owner on your smartphone more intuitively than on any other platform for mobile. Half of the charm of the OS lies in the fact that it integrates apps like Google Search, YouTube, Gmail, Google+, Google Maps, Google Play, Google Sync and Google what not. Today it is almost impossible to imagine a happy mobile life with these apps by Google. Why Do I Need to Install GApps Manually? Well, there might be three possible reasons to do a manual installation of the Google apps package. While most stock ROMs come with Google Apps pre-installed, it has now become a fashion among the custom ROM developers to provide a separate GApps package rather than include it inside the ROM. To have those Google apps, you need to flash them separately via CWM Recovery or some other custom Recovery. There is another situation when you might need to manually flash the Google apps on your Android device. Suppose you have flashed a custom ROM on your Android device and feel later that any of the Google apps is not functioning properly. I have gone through such a situation while using a custom ROM on my Galaxy S2 last year. Some of the apps that form the Gapps package include the Google Play Store itself, Google Talk, Google Sync (for adding and synchronizing Google accounts), Google Backup Transport, Car Home, Gmail, Google Maps, YouTube, Google Search, Google Voice Search, Google Music, Google Currents, and Google Docs. Most of these apps can be downloaded directly from the Google Play Store itself. The apps by Google are updated to implement new features and updates. If any of the Google apps receives an update, your device notifies you to install the new version via Google Play store. If you have update a single app, you can do it easily, but if there are many updates, it is better to find the latest GApps for your OS version and flash them via a custom Recoveries program like ClockworkMod Recovery or TWRP. Please note you will have to flash the Google Apps package every time you install a new custom ROM. In case you are upgrading a ROM, you might or not need to install the GApps but it is always good to ensure that you have the latest package installed on your device. Do not try to install the Google Apps package via Stock Recovery or you might get “signature verification” error, and if installed it might create internal conflicts. If you have to update a Google app, do it via Google Play Store or by installing the APK file manually if you have it. Download the latest Google Apps according to the OS version your device is on. To find out the latest Gapps, check the date found in the file name :gapps-jb-20121212-signed.zip. Here you can see the date when the Google Apps package was released/updated: gapps-jb-YYYY-MM-DD-signed.zip. Just take a look at the date to find out which is latest. In case you have installed a GApps package just after a custom ROM, download the gapps.zip and copy it to your phone (external or internal SD Card). Turn off your device and boot it into ClockworkMod or TWRP Recovery mode. Install the GApps just after installing the ROM using “install zip from sdcard> choose zip from sdcard” option. Navigate to the file, select it, choose “yes” when asked. If you have to install the Google apps over an older version, turn off your device and boot it into stock or ClockworkMod Recovery mode. Go to “advanced” option and select “wipe dalvik cache”. Go back to the main menu in Recovery and install the GApps using “install zip from sdcard> choose zip from sdcard” option. Go back to the main menu and select “reboot system now”. In case you have any issue with Google apps zip package, download the following Google apps apk file separately, copy them to your phone by connecting phone to the computer using the USB cable and install them. Make sure that you have turned on “Unknown Sources” options from Settings> Security before or during installation. We’ll keep updating the apps to latest as they get updated! Hi, i rooted my htc one x and accidentally install the Google Apps package via Stock Recovery ,now I can’t access to the playstore. Please help! ( no custom roms running) when I clean cach and data on Google service and frame work,it works for a coulpe of seconds and again not responding. Do a data factory reset. It didn’t work my friend.still shows this message (unfortunately proces com.Google.gapps has stoped responding) please help! Try removing the google apps on by one from the System/apps directory and then install the apk files manually. If it’s any help to others I installed ‘gapps-jb-20130813-signed’ after failing to show keyboard and other stuff. Just follow the instructions above to wipe dalvik cache first if tablet failed with a previous version. It’s very, very confusing which gapp to choose. This was on Samsung Galaxy Tab 2 10.1 UK model P5110 purchased 2013. Absolutely fantastic, over the moon. Thanks so much to all the bod’s that make all this possible, very much appreciated. Downloaded the latest version for ParanoidAndroid. I guess PAC is based on Android 4.3 so download the latest 4.3 gapps. ok, I Installed it and the message “Unfortunately, android keyboard (AOSP) has stopped.” keeps coming up, I can’t type anything so i can’t download a new keyboard on the play store. What do I do? I once used it while testing PAC. Thanks for reporting back. Enjoy! Have you installed a custom ROM or updated the device with official 4.2.2? Did you try a data factory reset in recovery mode? Hi Brian I would not recommend you to downgrade your device from JB to GB directly as it might affect the bootloader. How can we install fm radio apps on custom ics rom series 5…i.e AOKP.Please do let me know the link also where i can find the fm radio apk which can be installed with AOKP. 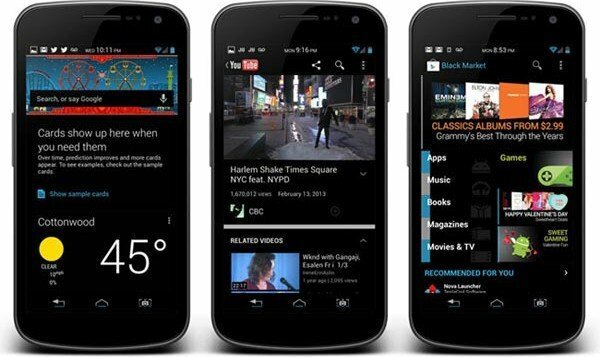 Install the latest Gapps for Android 4.2.2. Better install the rom again. It should be fixed. Sounds unusual. May be it is an issue with the ROM. Either try an older version of CM or the Nightlies. This’ll at least confirm if it the ROM itself or the Gapps responsible for it. ok…. problem solved … i did a full wipe of sd card and phone … installed cm 10 instead of cm 10.1 and installed gapps 20121011 ….. the keyboard worked but the only thing is that the camera is not there …..
Now my phone version of phone is 4.2.2 runnig successfully . Can I now install custom roms packman and cyanogen. Yes, you can if these ROMs are available. kept failing miserably on me). start an adb shell session, and do a “df” to see if your /system is out of space. then gapps – that may still not help you at all. It didn’t help me. i had followed all instructions given on d site.. even installed Gapps-jb-20121011-signed.zip [CyanogenMod 10.0.x] on my phone…. Try some older version of Google Play. Which older version u suggest??? should i reinstall jb rom??? No, just wipe cache partition ans dalvik cache and flash it via CWM. All ROMs for smaller devices like Ace come with bugs and that is why I did not do any more posts on such devices. Read the post again, it6 already has a big heading that points to the latest PA Gapps. Download the latest Gapps for JB and install it after wiping cache partition. time change automatic. (show wrong time). I flashed my GTs5830 with Paranoid, but unable to install gapps. The one you mentioned on your page, cm10.o.x fails to pass the signature check. Tried Google Apps for Paranoid Android ROM, it fails too. Please let me know where to get the gapps. Or a work around to get started with google services. Download the apk files from above and install them. If you not find the Add Account option under phone Settings, directly open the Gmail app and sign in with our id. It should be automatically added. Better if you show me all the options under Settings. installed gapps but still my play store and maps are not working. which Gapps do i need for the Jelly blast 3.0.3? When installing apps the verification fails. I have a galaxy p3100. Make sure the zip is not corrupt and you have downloaded correct version. If required, redownload and try again. redownload the package, it might have corrupted.